I woke up that morning at 7.30am, thanks to my Pebble vibrating violently on my wrist. 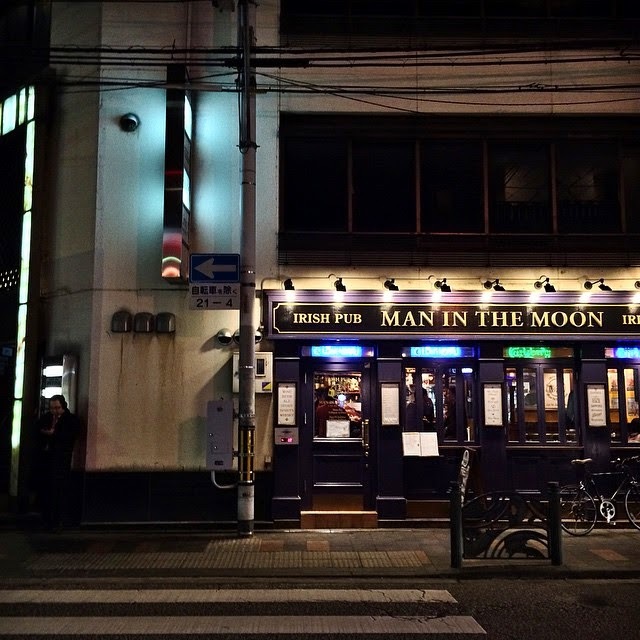 I had arrived back at the hostel at 3am last night (due to the slight misfortune of leaving my camera behind at the izakaya - after a very harrowing 15 minute drunk Google Translate conversation with the restaurant next door, though, camera was successfully retrieved). Plus, with the amount of sake I had consumed, I was annoyingly quite hungover. Ugh, and I had planned to fit so much in today! No, I can do this, I told myself, as I took two Panadol and headed downstairs for a (very) arduous breakfast (I chewed on that piece of peanut butter toast for way too long before giving up), before catching the JR Nara express to the Fushimi Inari-taisha (best known for the thousands of red torii that make up the 2 hour walk). The reason I had gotten up so early was simply to avoid the crowds as best as possible - the image of the endless tunnel formed by the red torii is so iconic, that everyone wants to recreate it; a pain when there are several hundred other tourists there. But you can never avoid the crowds completely, and you find yourself in the strange position of cursing under your breath when others clog up the background to take selfies, yet waiting to do the exact same thing. At particularly empty points, queues even developed where people politely took turns taking selfies with an untarnished (heh) background. Although I can't complain, I'm as much of the problem as everyone else. I was committed to walking the entire path, but due my lingering hangover, it became more of challenge (in both senses of the word) than it should have. Everyone else was walking along cheerfully, enjoying the sights, sounds, and spiritual nature of the walk. And then there was me. Sweating profusely, hood pulled over eyes, willing my nausea to recede, whilst taking two steps at a time in a frenzied manner. You have but one goal I was telling myself. Reach the top. I got to a lookout spot, which was pretty spectacular, showing the sprawl of south-east Kyoto, but instead I was staring at the map next door. I felt like I'd been walking for a kilometer, if not more. Yet that menacing little You are here!, usually the best part of any map, had moved barely two centimeters. I threw my hands in the air and made my way back down to the entrance. Feeling a lot better later, I decided to check out Kinkaku-ji, otherwise known as the Temple of the Golden Pavilion. And it was the perfect day for it as well - the blue sky making my pictures look so close to those famous landscapes of the pavilion. Since you can't enter the temple, there isn't really much to except take selfies and wander the gardens. So, when in Kyoto etc. After hearing from Kristiaan the night before about an amazing sushi train restaurant in Kyoto station (the vicinity to the hostel helped as well), I headed down to try it for dinner. THERE WERE GREEN TEA DISPENSERS, RIGHT IN FRONT OF YOU. Horse sashimi and mane. I was too curious after listening to Camille last night. 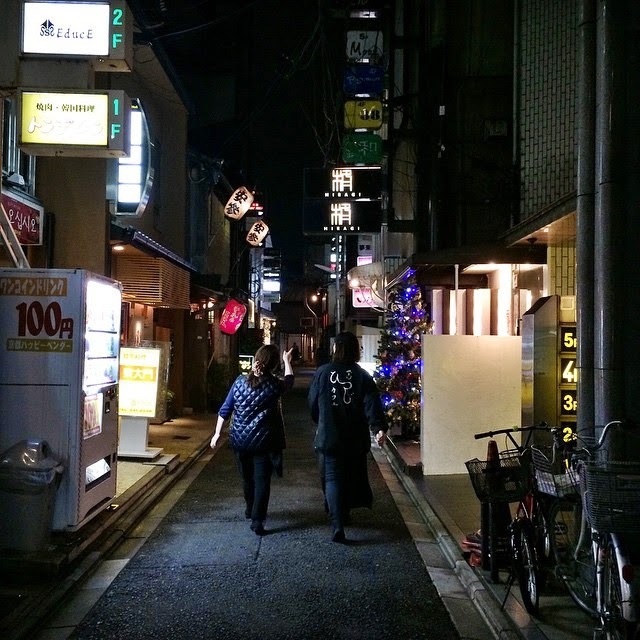 After dinner, I met Satish, another solo traveler from Singapore (well, semi-solo - traveling with family, but doing his own thing during the day/night), and we decided to go check out the Gion district, Kyoto's famed geisha area. It started off okay, with seemingly reputable restaurants and bars, but as we wondered down the many numerous backstreets, our luck vanished. We wondered in, happy to find a cool place, but at the same time somewhat bewildered by the layout. 'Um, that's because I think it might be a temple.' Satish realized. Okay, scratch that off the list. The next place looked busy and interesting, so we opened the door to check it out. It was literally the size of a phone box, with five or seven people squished inside with drinks. 'Um, is this a bar?' asked Satish, somewhat confused, to an elderly woman sitting near the door. She just stared at us for a second, before replying 'Nyet'. 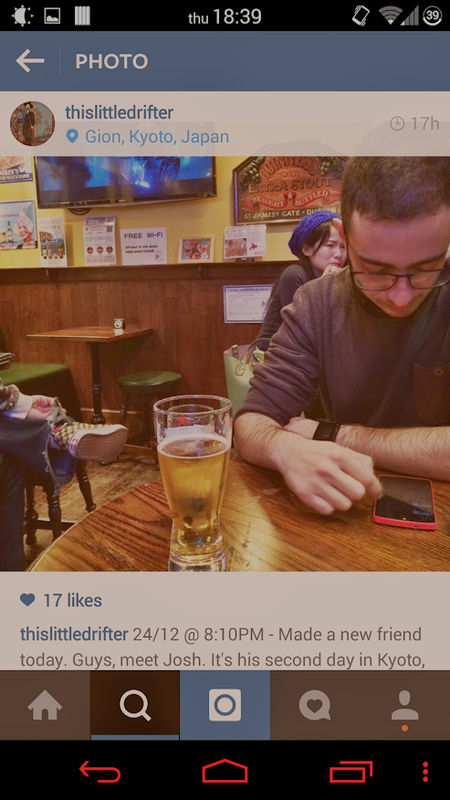 We quickly backed out and continued on our journey ('Wait, was everyone in that 'bar' Russian?'). We started to despair, passing by more and more places with no windows, just covered top to bottom in black, with a tiny door opening (and occasionally a man standing guard in a suit). Not wanting to venture in, we suddenly found a nice looking wooden place. We walked in, but something wasn't right - it was too dark, and seemed to 'homely' - 'wait, what was that? Did something move behind that door?'. Before we knew it, there was a geisha crawling towards us on the floor, with full makeup on and everything, not saying a word. We hurriedly yelled out numerous 'sorry! 's, and ran back to the door, not quite knowing what we had walked in on. And so, that's how we ended up at a local Gion Irish Pub, which compared to the other establishments was oh-so-welcoming, with its mix of Australian (typical - some guys were even decked out in full samurai gear) and local Japanese clientele. Plus it was cheap - only 500 Yen for a pint of Guinness. The barman was also so friendly and nice - when I knocked y still-full drink all over the table and my phone, they kindly gave me a new drink on the house. The vibe was a bit strange though, as they were showing The Girl with the Dragon Tattoo (in full explicit detail) on TVs adorning both walls. Eh. You win some, you lose some.